The future of a home that once was the center of Arlington’s last dairy farm could become clear by the end of the year. The county government has owned the historic Reevesland house since purchasing it and surrounding acreage for $1.8 million in 2001. Much of the land that was purchased was used to augment existing acreage at neighboring Bluemont Park, but the house itself has been in limbo for the past decade. County staff on July 13 are slated to lead a presentation discussing potential uses for the property, based on an earlier study report. The meeting is slated for 7 p.m. on the first floor of the county government headquarters, 2100 Clarendon Blvd. 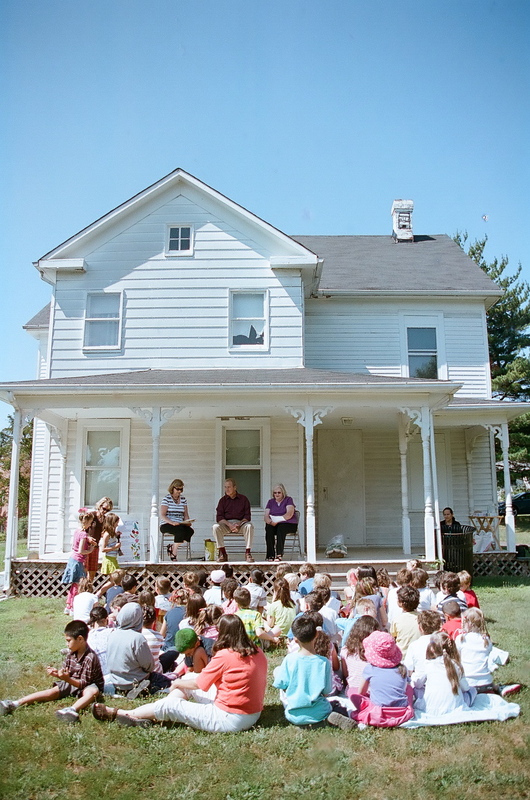 Possibilities for the future range from doing nothing and leaving the home mothballed, to leasing it out, to using it as a learn-a-torium or a center for interpreting Arlington’s rural past. The county government purchased the property from the estate of Nelson Reeves, who died in 2001 just shy of his 100th birthday. Reeves and his ancestors farmed the land from the 1870s to the 1950s. In retirement, Reeves sold off much of the acreage for what would become the Boulevard Manor community, and donated land for Bluemont Park. Set high on a hill, the home had sweeping vistas, and the Reeves family was a neighborhood beacon, family and friends said. In April, a dedication ceremony was held for the Reevesland Learning Garden, a series of growing beds constructed on a downslope near the home. The garden is being used to help educate children and adults about the science and practice of growing food. Supporters hope the effort will convince county officials to turn the Reeves home into a learning center. 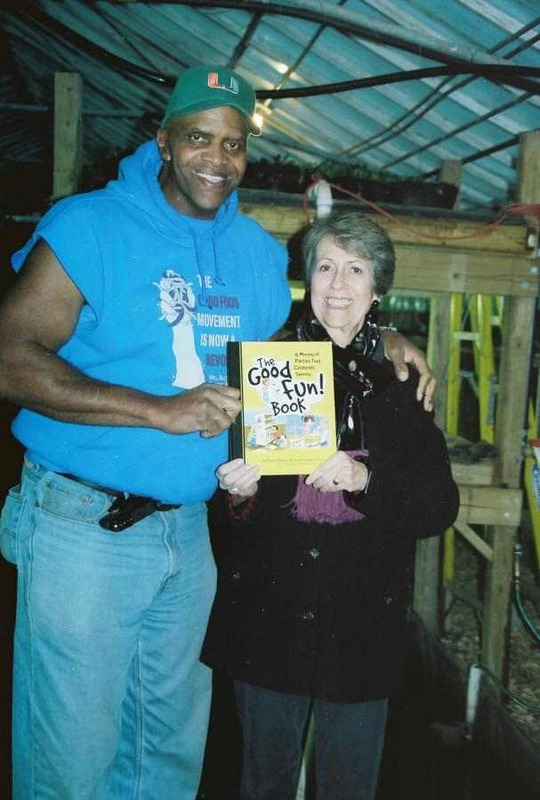 Joan Horwitt, founder of Lawns 2 Lettuce 4 Lunch in Arlington, Virginia, visits with Will Allen, founder of Growing Power and one of the amazing people featured in The Good Fun! Book, at his Milwaukee headquarters recently. Lawns 2 Lettuce 4 Lunch works to help local elementary students learn about growing and eating healthy foods and develop new relationships between the school and its neighbors. Learn more about community farming at Growing Power.